We can rocket day and night. I’ve never understood the appeal of football. Like my love of seafood and the swell of anger I feel every time I see Tony Blair’s face, it’s just one of those things I’ve never quite been able to explain. The closest I’ve ever come is that it bores me. That boredom extends to football games – the last one I tried was a demo of Euro 2000 on the PlayStation and I spent the entire time tackling the ref while laughing like a hyena. And while I loved the Burnout and WipEout games, racing titles that don’t feature some kind of destruction have never got me fired up either. It’s perhaps a curious thing, then, that a game combining football and racing cars should be one of the most fun online experiences – and perhaps even gaming experiences – I’ve ever had. Rocket League is a physics-based vehicle soccer game developed and published by Psyonix and released for PS4 and PC. 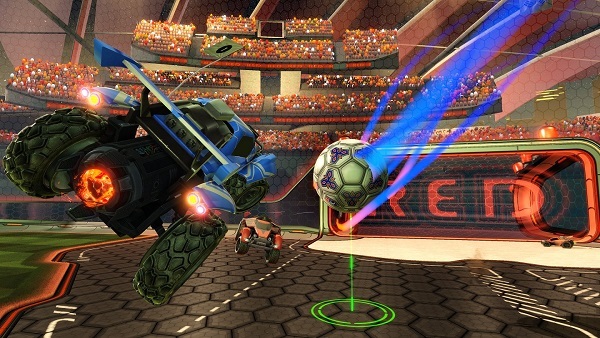 A sequel to 2008’s Supersonic Acrobatic Rocket-Powered Battle-Cars, the game sees players taking control of a rocket-powered car which they use to hit a large ball towards the other team’s goal area to score points, in a way that resembles a football game, with elements reminiscent of a demolition derby. Cars can jump, flip, power slide and boost around the arena, and mastering each of these moves is essential to gaining the upper hand. Boosting into the ball will make it fly further than simply driving into it at normal speed, for instance, while combining a jump and a flip at just the right time will slam the ball across the pitch and away from your goal – and hopefully toward your opponent’s. If it sounds insane, and that’s because it is. The core idea is simple but the physics are utterly mind-bending – you can destroy an opponent’s car by boosting into them and they can do the same to you (don’t worry, you respawn almost instantly) but at the same time you can literally drive up the sides of the arena wall, fall off it and land upside down without sustaining any serious damage. Matches frequently descend into destruction derby style carnage, with every player rushing, leaping and flipping at the ball simultaneously in a mosh pit of metal and nitrous oxide. The game undoubtedly comes alive when playing against real people online and with no microtransactions or game-changing unlockables to give players an unfair advantage, Rocket League has one of the most balanced multiplayer modes I’ve encountered in quite some time. Matches frequently descend into destruction derby style carnage. There are different cars to unlock, sure, each of which have their own perks and disadvantages, and a range of customisation options from wheel types to choosing whether flames or flowers come out of the back of your car when using the boost option, but none of them give one player an unfair advantage over another. All are equal in the arenas of Rocket League, leaving only your skills to give you an edge over your opponents. In an era of paid for perks and microtransactions, that’s pretty damn special. It’s not all about online play, though. There’s also a local multiplayer option for up to four players, along with a single player campaign and a detailed tutorial mode for getting to grips with the fundamentals of shooting, defence, and jumping. 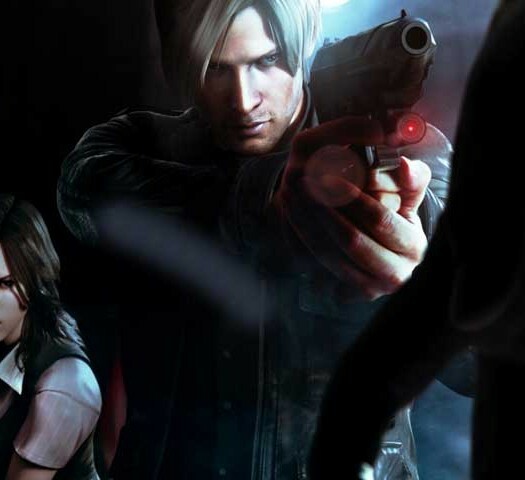 The graphics are crisp and sharp, which, for a game as chaotic as this, isn’t just a nicety but an absolutely necessity. In fact if there’s one criticism that can be levelled against the game, it’s that things can sometimes get a little too chaotic. Keeping track of the ball can sometimes be a test of patience, although there’s an optional ball cam that tries to compensate for this. Mastering the controls can take a little time, and getting used to how the cars actually handle requires plenty of practice. It’s easy to jump straight over the ball or leap too early and misjudge it altogether when the ball is coming your way, something that you’ll eventually get the hang of provided you have a keen eye and good timing. Rocket League was reviewed on PlayStation 4. Rocket League is a frantic, fun and furiously addictive title. It’s free to PlayStation Plus subscribers throughout July so if you haven’t yet downloaded it, fire up that PS4 and give it a try. It may just be the multiplayer experience you’re looking for and it won’t even cost you anything. Bargain.